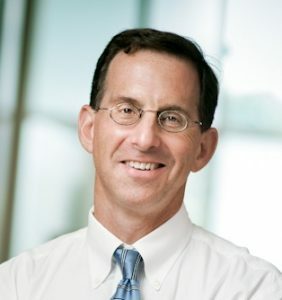 David Margolis is the Director of the University of North Carolina at Chapel Hill HIV Cure Center, funded in part by a public-private partnership between UNC and GlaxoSmithKline and is the principal investigator for the NIH-sponsored Collaboratory of AIDS Researchers for Eradication (http://www.delaneycare.org). He has an MD from Tufts, and trained in medicine and infectious diseases at the New England Medical Center, and the NIAID. He and many collaborators have begun to develop drug and immunotherapy approaches to target persistent HIV, the tools needed to cure HIV infection. Dr. Brian A. Johns, Ph.D.
Dr. Johns received a Ph.D. from Wayne State University in Detroit in 1997 under the direction of Professor Carl R. Johnson working on chemoenzymatic methodology to make bioactive aza-C-disaccharides. He continued his training as an NIH postdoctoral fellow at the University of Virginia in Charlottesville under the direction of Professor James A. Marshall where he completed a total synthesis of the polyketide natural product discodermolide using allenyl metal methodology to establish key stereotriad motifs. 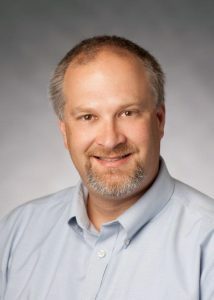 Dr. Johns joined GlaxoWellcome (now GSK) in Research Triangle Park, North Carolina in 1999 as part of the virology chemistry group where he continues today. Dr. Johns has authored or co-authored over 45 peer reviewed journal articles and is an inventor on over 50 patents and patent applications. He is a co-inventor of the antiretroviral drug Tivicay® (dolutegravir) and currently holds the title Vice President and Head of the HIV Discovery Performance Unit (HIV DPU) at GlaxoSmithKline. Dr. David M. Margolis, M.D.